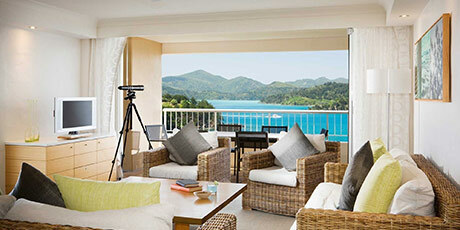 Book your Hamilton Island accommodation for the TRISTAN Conference. Please see below the best available conference rates for the Reef View Hotel on Hamilton Island for the upcoming TRISTAN Conference 2019. The Reef View Hotel represents the ultimate in 4 star resort hotel accommodation, with rooms that are amongst the largest standard hotel rooms in the Pacific. All of the Reef View Hotel rooms overlook Catseye Beach or tropical gardens and are central to all conference venues. Each room is superbly furnished with twin queen sized beds and lounge area with large balcony. The bathroom is fitted with a bath, separate shower and twin vanities. The discounted rates quoted are available for all pre & post stays, subject to availability. Should you wish to stay at one of our other properties such as Palm Bungalows, Beach Club, qualia, Holiday Homes and the Yacht Club Villas please contact our Groups Reservations Department on groups@hamiltonisland.com.au or 1300 963 877. Please note that accommodation is subject to availability. 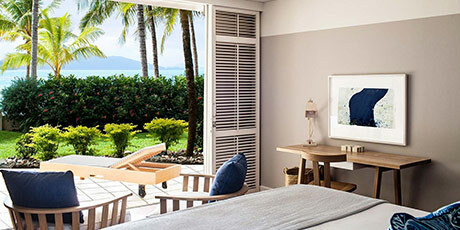 Should your chosen accommodation type be fully booked, please contact our Groups team on groups@hamiltonisland.com.au or 1300 963 877 to discuss alternative options. 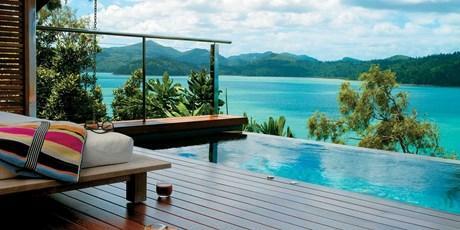 We look forward to welcoming you on Hamilton Island for the upcoming conference. 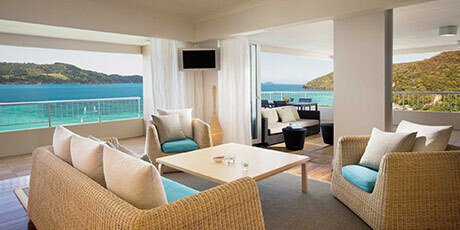 Did you know we can also book your flights to Hamilton Island for your event? Click below to send a request. The Reef View Hotel Standard Room Rate includes 2 adults and 2 children. Should a third or fourth adult wish to stay in the room, a fee of $60.00 per person per night (for the third and fourth adult) is applicable. Rollaway beds are also available for an additional $45.00 per rollaway per night. Please note breakfast is not included in your room rate. You can enjoy daily breakfast overlooking Catseye Beach at Sails Restaurant, the Pool Terrace at Reef View Hotel or with the Koala's at the Wildlife Park at the special conference rate of $29 per adult per night. To pre-book your breakfast at the special conference rate per adult per night, please select the breakfast option during the booking process. Alternatively breakfast can be purchased on the island for $35 per adult per day. 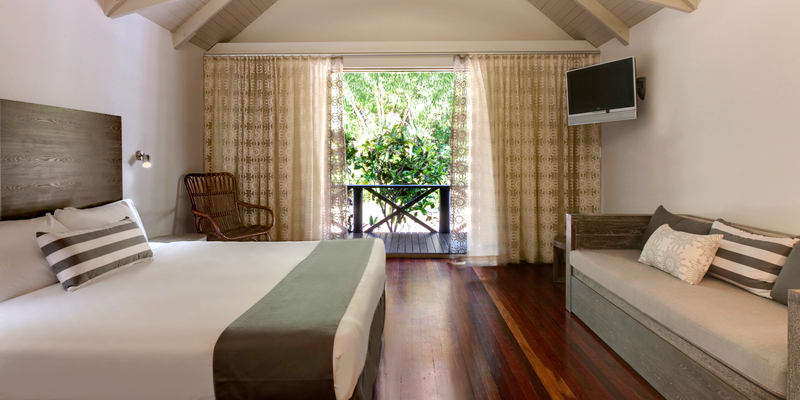 Spacious and modern, and located on the upper floors of the hotel, the Coral Sea View Rooms offer some of the most spectacular vistas on Hamilton Island. To secure a guaranteed Sea View room click on the Book online today button above and select Reef View Standard room to be presented with these upgrade options in the booking process. 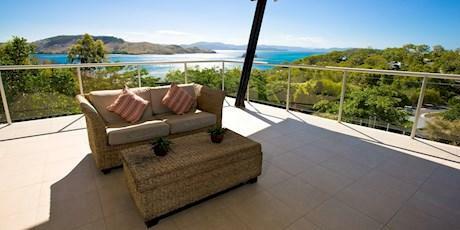 The Reef View Hotel Coral Sea View Room Rate includes 2 adults and 2 children. Should a third or fourth adult wish to stay in the room, a fee of $60.00 per person per night (for the third and fourth adult) is applicable. Rollaway beds are also available for an additional $45.00 per rollaway per night. To secure a guaranteed Sea View King room click on the Book online today button above and select Reef View Standard room to be presented with these upgrade options in the booking process. Ideal for a family, the Reef Family Room offers all the space and convenience of a holiday apartment - with the service and facilities of a four-star hotel. The Reef View Hotel Family Room includes 2 adults and 4 children (0-12). Should additional adults wish to stay in the room, a fee of $60.00 per person per night is applicable. On the top floor of the Reef View Hotel, the two-storey Reef Suites offer incredible sea views, an abundance of space, and all the comforts of home. The Reef View Hotel Suite rate includes 2 adults and 2 children (0-12). Should additional adults wish to stay in the room, a fee of $60.00 per person per night is applicable. Rollaway beds are also available for an additional $45.00 per rollaway per night. Located on the four corners of the hotel, and on the eighteenth floor, the One-Bedroom Terrace Suites offer incredible, wraparound ocean views. The Reef View Hotel 1 Bed Suite rate includes 2 adults and 1 child (0-12). Should additional adults wish to stay in the room, a fee of $60.00 per person per night is applicable. Rollaway beds are also available for an additional $45.00 per rollaway per night. 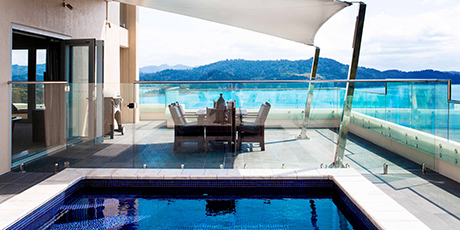 Relax with family or friends in the Reef View Hotels luxurious Two-Bedroom Terrace Suites. 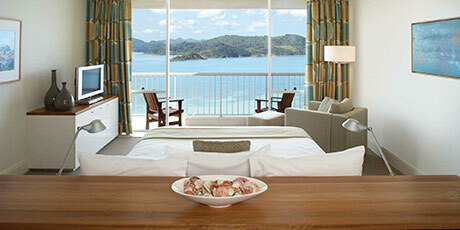 The Reef View Hotel 2 Bed Suite rate includes 2 adults and 2 children (0-12). Should additional adults wish to stay in the room, a fee of $60.00 per person per night is applicable. Rollaway beds are also available for an additional $45.00 per rollaway per night. With magnificent ocean views and space for up to six guests, the two-storey Presidential Suite occupies the top floor of the four-star Reef View Hotel. The Reef View Hotel Presidential Suite rate includes 2 adults and 2 children (0-12). Should additional adults wish to stay in the room, a fee of $60.00 per person per night is applicable. Rollaway beds are also available for an additional $45.00 per rollaway per night. Contact our Groups Department to take advantage of a 5% discount for conference guests. Confirmation will be sent to the email address provided, within 3 working days of receiving booking form. Full pre payment is required at time of booking to confirm your reservation. Failure to provide payment information below may result in your booking being returned unconfirmed. Credit card fees apply for payments made with AMEX. Reservations must be received no later than 30 days prior to the conference start date: (16 May 2019). Any reservations received after this date cannot be guaranteed on the discounted group rate. Amendment or cancellation of booking before 30 days prior to arrival will forfeit one (1) night’s accommodation. After this date, any cancellation of accommodation will attract a 100% cancellation fee. Bookings for arrivals and departures outside of the main conference dates will be subject to availability. The online booking portal will close 7 days prior to arrival (9 June 2019). 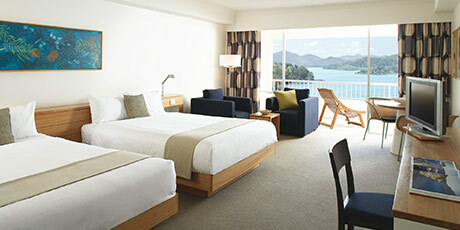 Please contact our Groups Department on groups@hamiltonisland.com.au or 1300 963 877 to make a reservation at this time.